Three Card Draw is an upcoming group invitational show at Silk Weaving Studio. 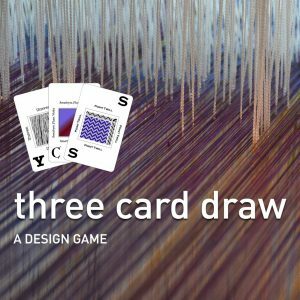 Participating artists drew a card in each of the three categories – colour, yarn and weave structure. Their resulting textiles were inspired by these random selections, pushing the artists in directions they might not otherwise explore.